There was a time, not all that long ago, when crucial matches between same country players – in particular, China – appeared rigged to suit a longer-term goal. But there was no way that the finger of suspicion could be pointed at India in the Californian city of Anaheim on Sunday. 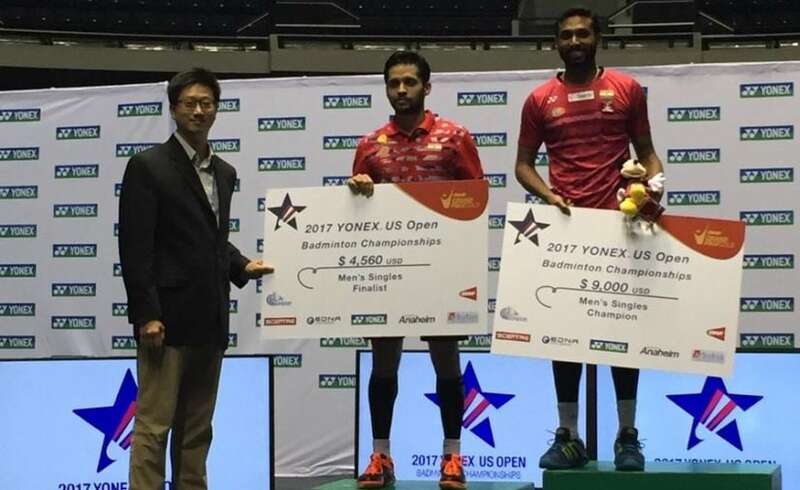 In what was another all-Indian final like the Singapore Open Super Series summit clash three months back, Haseena Sunilkumar Prannoy mercilessly ran his older compatriot Parupalli Kashyap ragged over an hour and five minutes before bagging the US Open Grand Prix Gold men’s singles title with a 21-15, 20-22, 21-12 win. Prannoy, who had come into this second-tier competition seeded No 2, showed the exemplary shuttle control that is the hallmark of his game, and superior fitness while knocking out his unfancied fellow countryman, who had defeated South Korea’s top-seeded Lee Hyun Il on the opening day of the $120,000 tournament. Coming back to mainstream badminton after spending long periods on the sidelines as a result of one injury or another, Kashyap showed traces of the wiles of his heyday while winning five matches before his gallant run was brought to an end by his close friend and fellow trainee at the Pullela Gopichand Academy. It is more than three years since the two long-time sparring partners encountered each other in an international competition. Their most recent clash was in February 2014 at the German Open, when Prannoy came out on top in straight games at 21-19, 21-18. A little over three years before that, at the India Open in December 2010, Kashyap had comfortably beaten the then 17-year-old Prannoy at 21-15, 21-13. There was, hence, little ground on the basis of which one could safely predict the winner of their US Open summit clash. 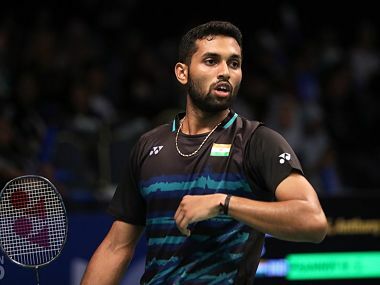 On the strength of rankings alone, Prannoy could have been considered to be streets ahead, at No 23 on the Badminton World Federation (BWF) ladder, whereas Kashyap was barely holding on to the 59th spot after climbing gamely up the ladder from a spot outside the top 100 in April this year. That lowly ranking needs to be put in perspective. Kashyap, who bagged a bronze medal at the 2010 Commonwealth Games, and qualified to represent India at the 2012 London Olympics, is a former top-10 player. Exactly four years earlier, the then 26-year-old had touched a career-high point of world No 6 on 25 April, 2013, when he was at very near the peak of his game. It was in October 2015 that he fell prey to the first of a veritable spate of injuries that were to plague him over the next two years. The first in the series was a calf muscle tear, followed by a nasty knee injury at the German Open that effectively scuppered his hopes of playing at the 2016 Rio Games, and being a two-time Olympian. He shifted temporarily to Bangalore, to try and get his knee back in order. 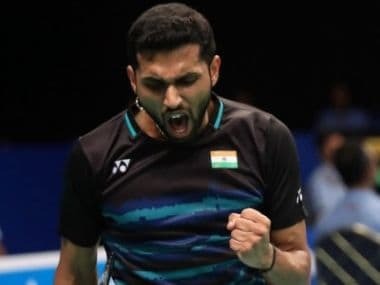 Then, at the Premier Badminton League (PBL) in India in the opening fortnight of 2017, he had the misfortune of dislocating his shoulder – ironically, while playing a match against Prannoy, who was to remain unbeaten in seven matches in that masala competition. Kashyap took a fast snake down the rankings, to drop out of the top 100, raising a question mark over his future career, particularly as he was past his 30th birthday. With typical Andre Agassi-like grit and determination, he clawed his way back. At the Canadian Open, exactly a week earlier, Kashyap had bowed out in the Round of 32 to the relatively unknown Japanese teenager, Koki Watanabe, losing their 50-minute clash at 10-21, 21-10, 15-21. Not much was expected of him at the US Open. But the man who will celebrate his 31st birthday next month came up with a string of strong performances to barge into the final. At the start of the title clash, it appeared as if Kashyap would simply run away with the opening game, at least. He barreled into a 7-1 lead before his rival could even get his bearings. However, as the rallies became longer and Prannoy found his length, he went into the mid-game break with a small 11-9 advantage. The younger man caught up at 12-all; and then, from 15-all, he turned up the pressure to streak to the tape without losing a further point. Kashyap continued to remain competitive in the second game, and leaped to a 14-9 lead, but the doughty Prannoy refused to go down without a proper scrap, and restored parity at 15-all. Each time that Kashyap broke away to lead by a couple of points, his antagonist dragged him back, until they hit 20-all. A supreme effort saw Kashyap bag the vital two points that brought him back to even keel in the matter of games won, but that determined thrust cost him dear in the rubber. The age difference of six years, and the debilitating long-term effect of his numerous injuries, proved to be a vital factor in his inability to keep pace with his 25-year-old compatriot. Prannoy cruised to 3-0, 7-3 and 11-7 leads before showing a clean pair of heels to his senior in the second half of the deciding game. 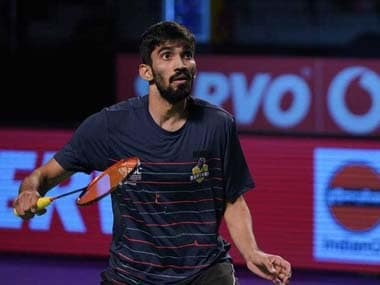 Kashyap’s challenge may have come unstuck in the title round, but the durable Hyderabadi had the satisfaction of bossing it over young Sameer Verma, who had earlier become the fourth Indian player to seal a berth in the forthcoming World Championships. Kashyap’s 21-13, 21-16 quarter-final victory over the younger of the Verma brothers was a fine example of experience brushing aside bubbling youth. How ironic is it that Sameer will be joining Ajay Jayaram, Kidambi Srikanth and B Sai Praneeth on the trip to Glasgow next month, while his conqueror at Anaheim, as also the eventual US Open champion, Prannoy, can only watch from the sidelines and cheer on the quartet of Indian challengers for the ultimate prize in the sport. The fact that India is one of only three nations to have four representatives in the main draw at Glasgow bears mute testimony to the strength and depth of the country’s badminton. At least, in the singles, though the paired events remain a cause for furrowed brows.